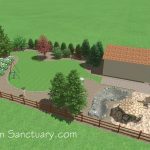 Today lets look at a pollinator garden plan I put together. 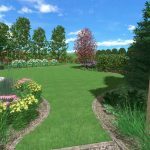 This is decent sized garden approximately 12′ wide by 8′ deep in the form of an oval. It is for an area with medium to drier soil moisture that gets over 6 hours of sun. 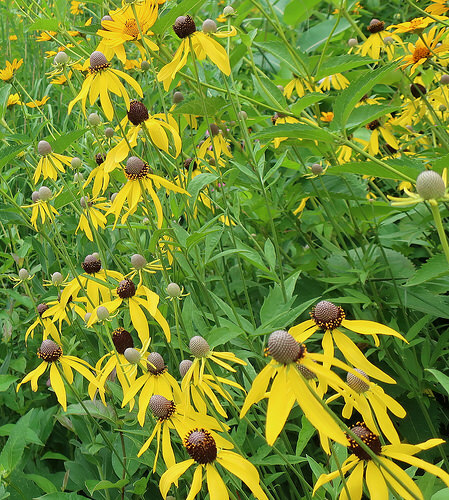 We will be using Prairie plants that are especially attractive to pollinators for our planting palette. Here is a representation of what the planting would look like (if everything bloomed at once) to give you an idea of what the plants would look like. We will place the tallest plants in the back of the planting to create a background for the other plants. In the middle of the back, we will plant a Spotted Joe Pye Weed (Eutrochium maculatum). We will select the cultivar ‘Phantom’ which is a bit smaller than the species. 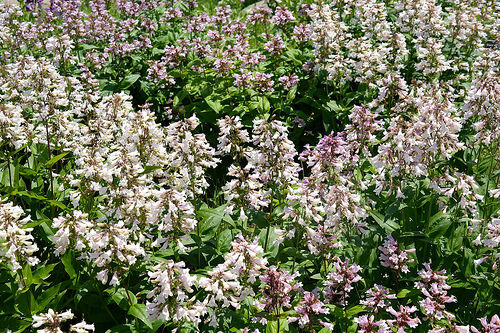 It is also one of the cultivars of Joe Pye Weed species that was rated as having good mildew resistance in Trials at the Chicago Botanic Garden. It blooms from July into September. 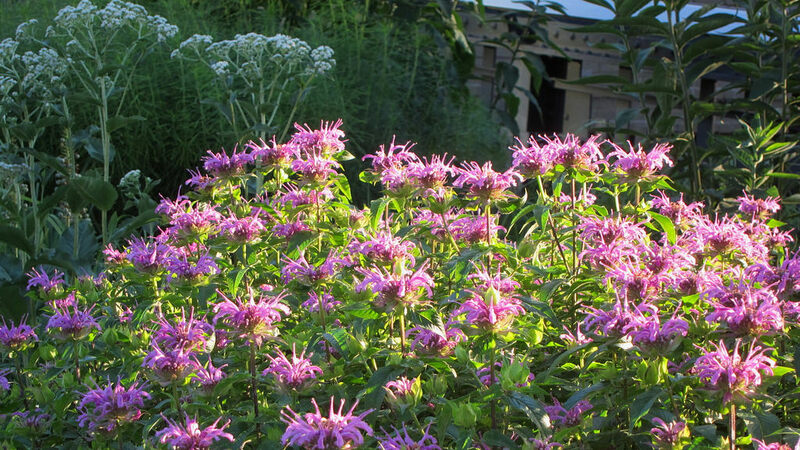 Joe Pye Weed attracts numerous pollinators. These include butterflies, moths, honeybees, bumblebees, long-horned bees, and leaf-cutting bees. A number of moth caterpillars use spotted Joe-pye weed as a food source. Several species of birds including swallow eat its seed in the fall and winter. Phantom Joe Pye Weed in bloom in my yard. 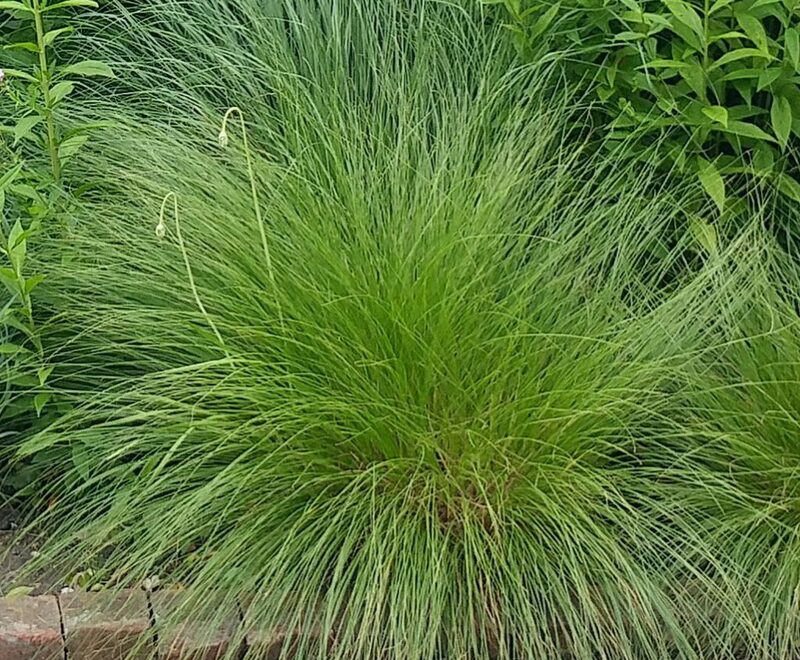 Now we will add three blue foliage versions of the prairie native Switchgrass (Panicum virgatum ‘Heavy Metal’). We are obligated to crank Don Felder’s Takin’ a Ride on the stereo as we plant it. Numerous insects and birds feed on switchgrass and it’s seedheads. 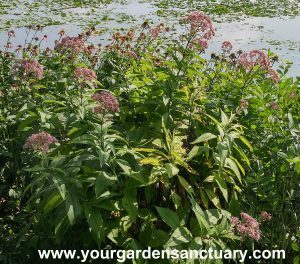 It’s seed heads rise at the end of summer above the foliage and stay upright through winter, providing some nice winter interest. Not many people have Ohio Goldenrod (Oligoneuron ohioense) in their gardens. 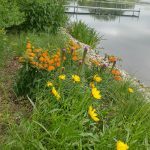 Even all those that are all geeked out about native plants and have other goldenrods in their gardens have not seemed to discover this plant. Sure it may be a little aggressive but not certainly not by goldenrod standards. Its flowers are very large and nice and showy. It is certainly loved by pollinators like Monarchs looking for some rich nectar in late Summer/Fall. Ohio goldenrod is a very good nectar source for butterflies and also attracts birds, bees and parasitic wasps. Ohio Goldenrod (Oligoneuron ohioense) with a few white flowers from a Wild Quinine photobombing the scene in my yard. 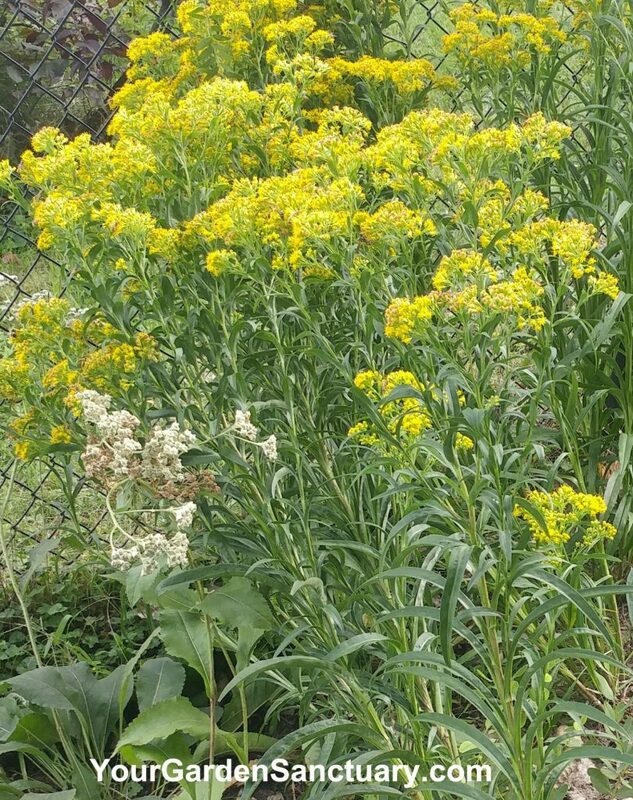 It does like moist soil, if the soil was drier here we would substitute Stiff Goldenrod (Oligoneuron rigidum) which is similar but likes it drier. Stiff Goldenrod is known to seed around a bit, so you are warned if that is a problem. Yellow Coneflower (Raitida pinnata) – Sure you all know about purple coneflower but this entirely different plant (also called Grey-headed coneflower) is its wild cousin from across the tracks. A grouping of this well behaved perennial forms a nice elegant stand of clusters of white flowers with a touch of violet thrown in for good measure. What pollinator garden would be complete without this Monarch butterfly host plant that has blooms that are absolute butterfly magnets. Likes well-drained soil. If you plant in clay expect it to die. This is a shorter variety of Liatris which has spikes of dark rosy lavender colored flowers. I actually like some other Liatris more but this makes a shorter neater plant that fits garden spaces better. 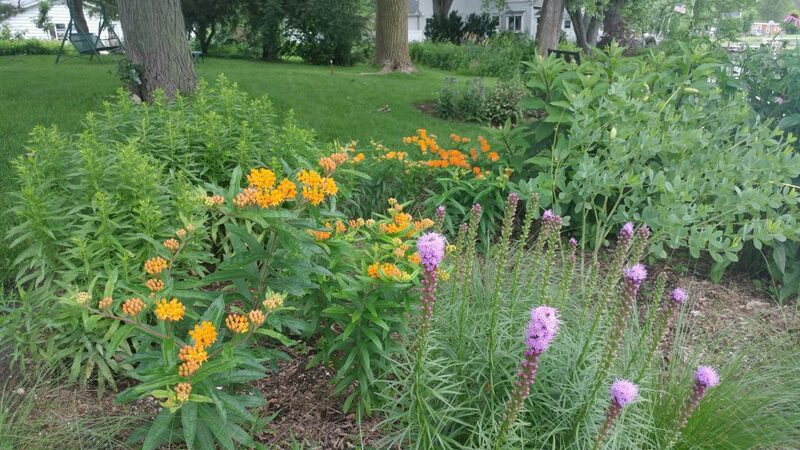 Butterfly weed and Kobold Liatris in Bloom. 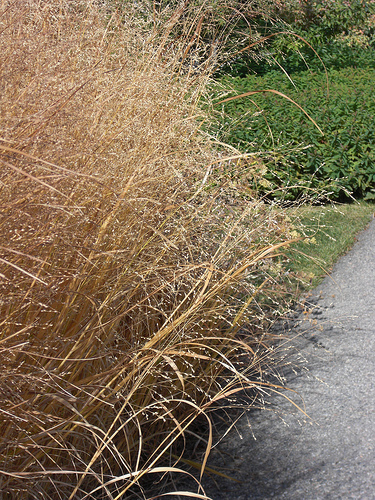 This highly ornamental native prairie grass looks great toward the front of the border. It also provides food and cover for wildlife in this pollinator garden. 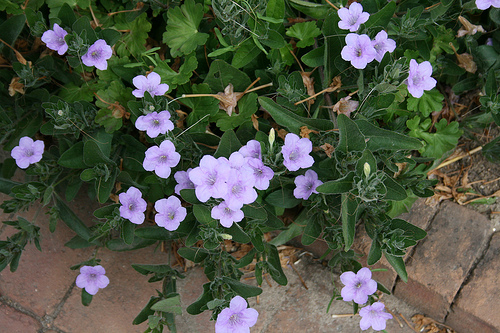 This petunia look-alike makes a nice free blooming groundcover. It does seed around and gives you the gift of new plants sometimes where you wouldn’t expect them. It is not an aggressive plant. I just planted this plant this summer so I won’t pretend to be an expert on it. I do think it looks nice when massed such as this photo I took at a growing field at a native plant nursery. 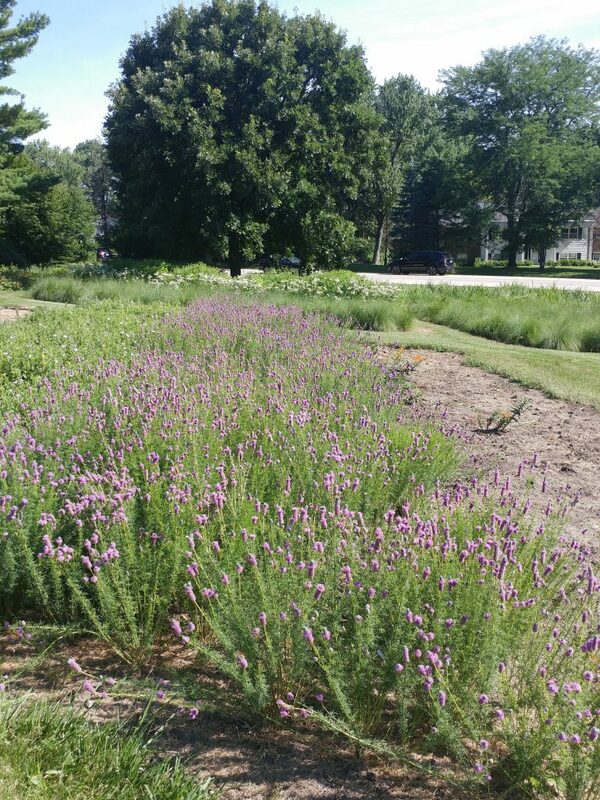 Purple Prairie Clover mass planting. 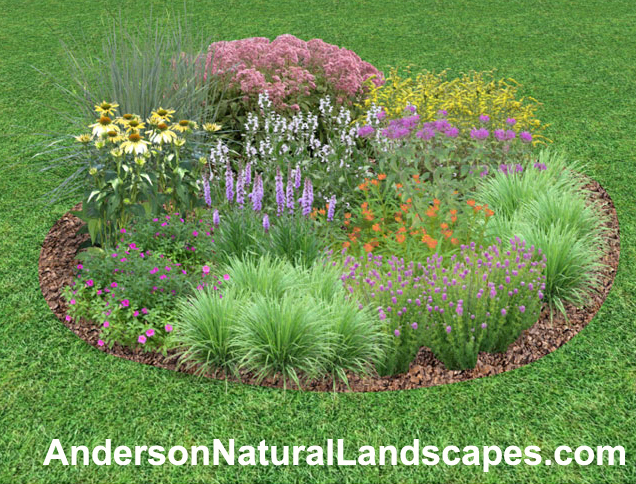 This pollinator garden can be placed right in a lawn area where the grass is removed. It should be mulched with a couple of inches of leaf mulch ideally. Compost could be substituted if leaf mulch was not available. 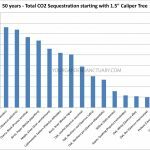 A hardwood mulch should not be used as it will suppress the perennials. Just beautiful! I planted butterfly weed, but the rabbits ate the leaves and a few branches. Hoping it’ll come back next year. I also just added Kobold to my garden and i’m living the purple spikes. As always, great tips and info. Thanks for sharing!